Central Israeli town's decision to bar non-residents from park is 'racist' attempt to keep haredim out, claims communist lawmaker. 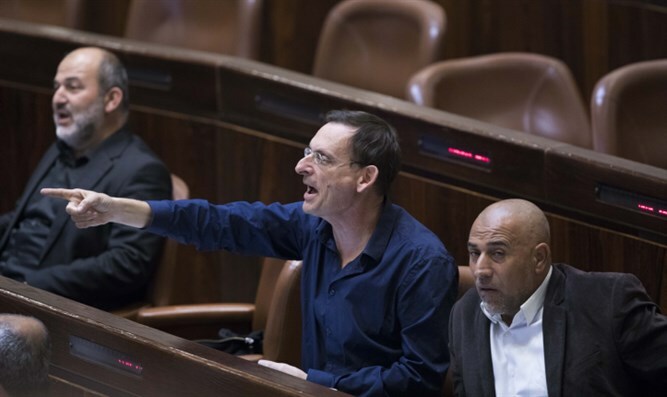 A member of the predominantly Arab Joint List party has joined haredi lawmakers in condemning a central Israeli town for imposing what critics call a thinly veiled ban on haredi visitors, and has called on the Knesset to address the issue. On Sunday, Kikar Hashabbat reported that the town of Givat Shmuel in central Israel had imposed a temporary ban on non-residents, barring them from visiting local parks during certain peak hours. Critics claim that the move by the predominantly Religious Zionist town is intended specifically to bar haredi residents from the nearby city of Bnei Brak. According to the Givat Shmuel municipality, the temporary ban is only enforced between the hours of 4:00 p.m. and 10:00 p.m., and will only last a total of three weeks. During those hours, the city said in a statement, special events for residents are held in the parks. The city denied the ban was intended to single out any group or population. "We are not closing the park to Bnei Brak residents but to anyone who is not a resident of Givat Shmuel," a city official told Kikar Hashabbat. "The park will also be closed to residents of Tel Aviv and Kiryat Ono. Apart from this, we are talking about a few weeks in which during the afternoon the park will be closed to residents of other cities because there will be activities especially for the residents of Givat Shmuel." Nevertheless, the move drew criticism from some city officials in Bnei Brak, as well as haredi lawmakers, who on Sunday called on the Knesset to take up the issue. On Monday the haredi lawmakers were joined by a member of the predominantly Arab Joint List party – MK Dov Khenin. The Joint List’s sole Jewish representative, Khenin is a long-time member of Maki, the Israeli Communist Party, a faction within the far-left Hadash movement. Hadash is one of three parties which make up the Joint List. Khenin accused the Givat Shmuel municipality of engaging in racism, arguing that the temporary ban was a clear case of discrimination. This, the Hadash lawmaker noted, was not the first time he had worked closely with haredi MKs on the issue.